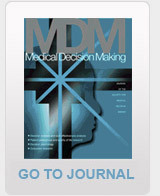 The 13th Biennial European Conference of the Society for Medical Decision Making (SMDM) took place from May 30 to June 2, 2010, in the city of Hall/Tyrol in Austria. The conference venue was UMIT - University for Health Sciences in a modern building located close to the beautiful medieval town center, surrounded by the wonderful mountains of Tyrol. Hall is easily accessible by train from all over Europe, the airport Innsbruck is 20 minutes away, the Munich airport 2 hours (shuttles from Munich to Hall are available). The conference began as usual with short courses on Sunday, May 30, followed by a reception on Sunday night. The conference included plenary sessions, oral presentations, posters, workshops, panel discussions, and Special Symposia on ‘Public Health Decision Making’ and 'Personalized Decision Making'.